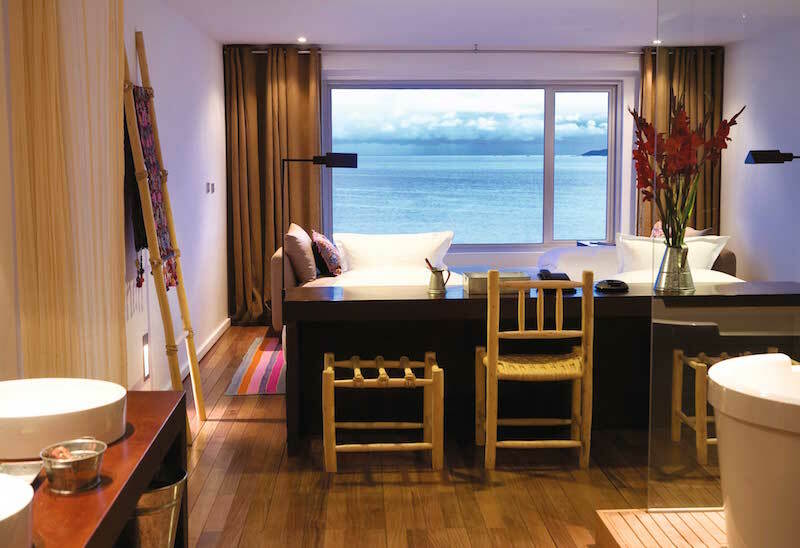 this breathtaking view is Titilaka, a boutique lodge on a private peninsula surrounding Lake Titicaca. 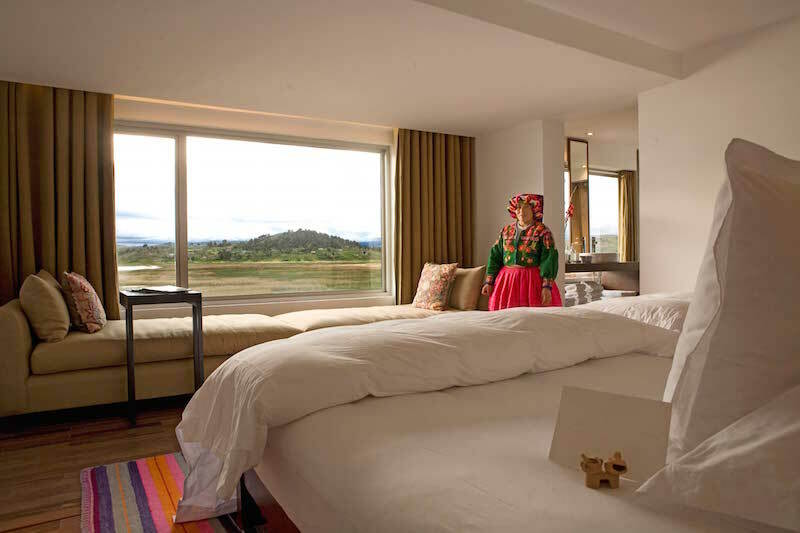 The sophisticated and contemporary lodge features an all-inclusive luxury experience, and is a member of the prestigious Relais & Chateaux fellowship. The Titilaka Lodge offers an exceptional 5-star service and world-class cuisine. Titilaka includes four acres of grounds, two private beaches, and eighteen fully equipped lake view rooms, which are scattered on three levels and connected by a central hallway. There are outdoor wrap-around terraces, an overwater deck, and boardwalks. The hotel includes reception and sitting areas, three lounges, a main dining room, and a fully stocked bar with a regional wine cellar. Guests have the choice of dining in their rooms, at the main dining room, or on the terraces on outings. Cuisine is served by butlers offering local ingredients, including lake trout and local produce. 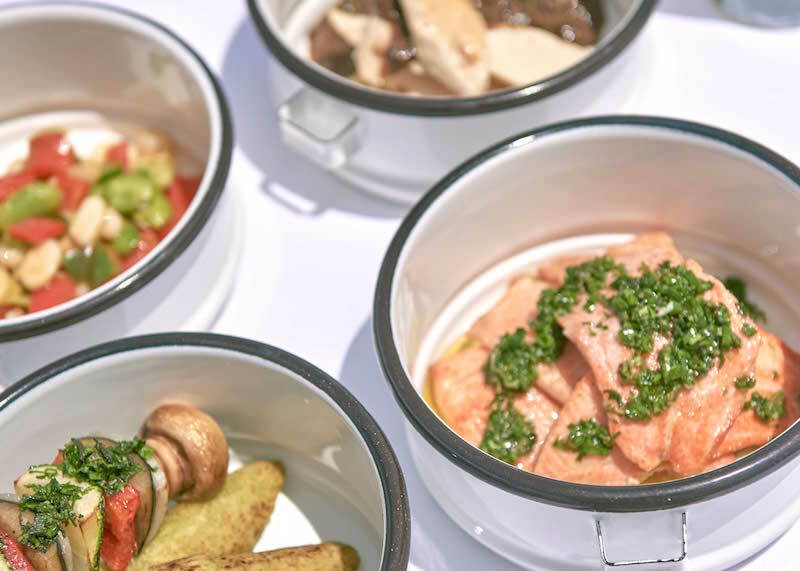 Also served are fusion Andean-contemporary dishes influenced by awarded Peruvian cuisine, and Andean spices. The emphasis is on simple, wholesome food to provide energy for the excursions, yet light enough considering the high altitude. Guests are offered daily specials and a selection of a la carte options. Full breakfast is served from dawn until noon, including local breads, cheese, fruits and egg options. Lunch and appetizers are served from noon until 3 p.m., and afternoon tea is offered prior to the excursions. Cocktails and dinner are served beginning at 7 p.m. A selection of creative snacks is offered throughout the day, and sundowners are served in the lounge, on the beach, or on the outings. Bar service is available throughout the day. Other amenities include a media and reading room with satellite TV, books, games, and DVDs, a small “jetty,” or landing dock, and a massage room. There is also a boutique located off the Lobby Lounge, that offers an eclectic collection of merchandise. 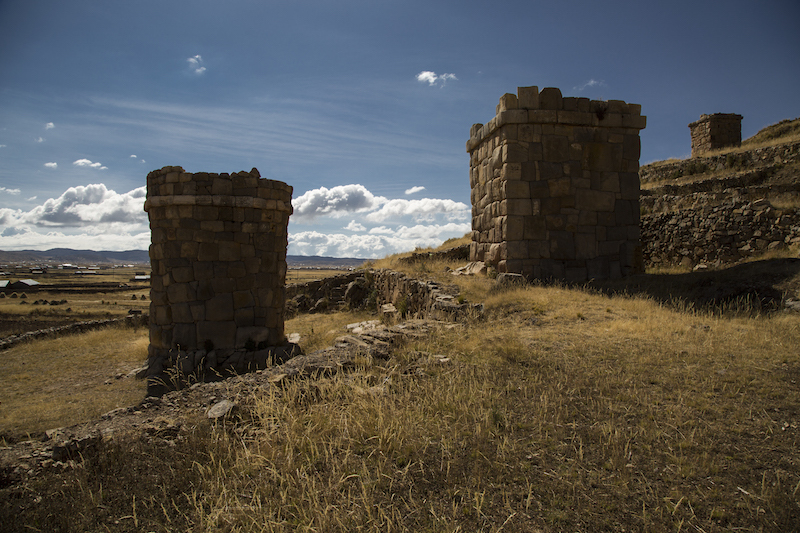 Lake Titicaca and the surrounding “altiplano,” or high plain, provide Titilaka with a transcendent and pristine natural backdrop that will leave you breathless. 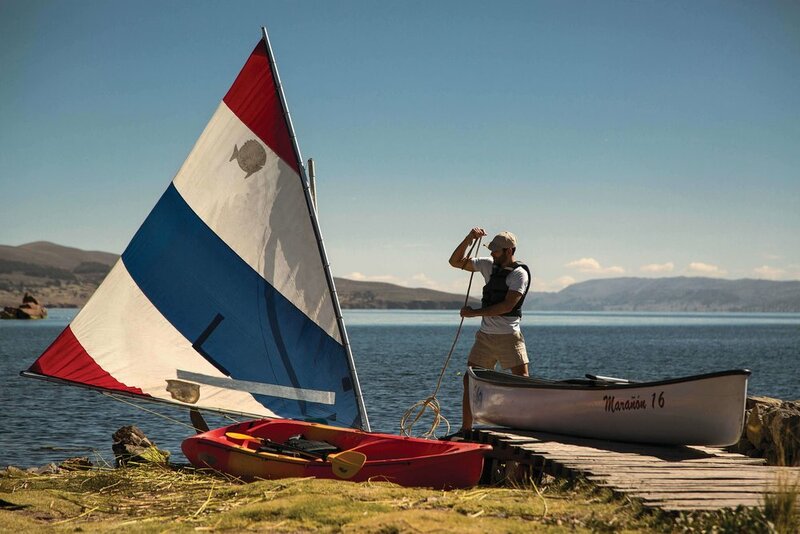 Lake Titicaca was the cradle of Andean civilization and remains a magical location renowned for its ethereal natural beauty and traditional highland communities, who maintain unique rituals and beliefs handed down over hundreds of generations. 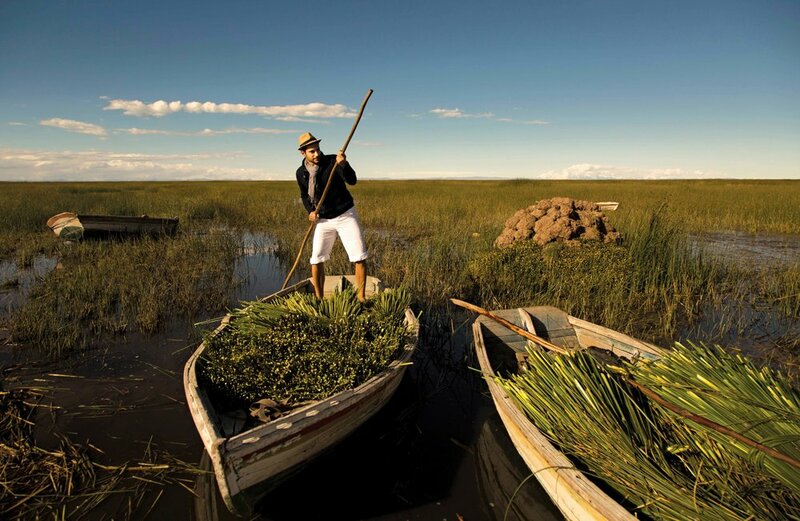 Lake Titicaca is one of Peru's most important and impressive destinations.